There is no one-size-fits-all way to define a service area. In fact, there are several ways to do it. Which one is best? The answer is, it depends. Defining a service area is both art and science. In our years of working with healthcare strategists, marketers, and planners, we’ve found that most organizations define their service areas incorrectly, often defining them larger than they should. Click to Tweet: "There is no one-size-fits-all way to define a service area—in fact, there are several ways. Which is best? It depends. Defining a service area is both art and science." 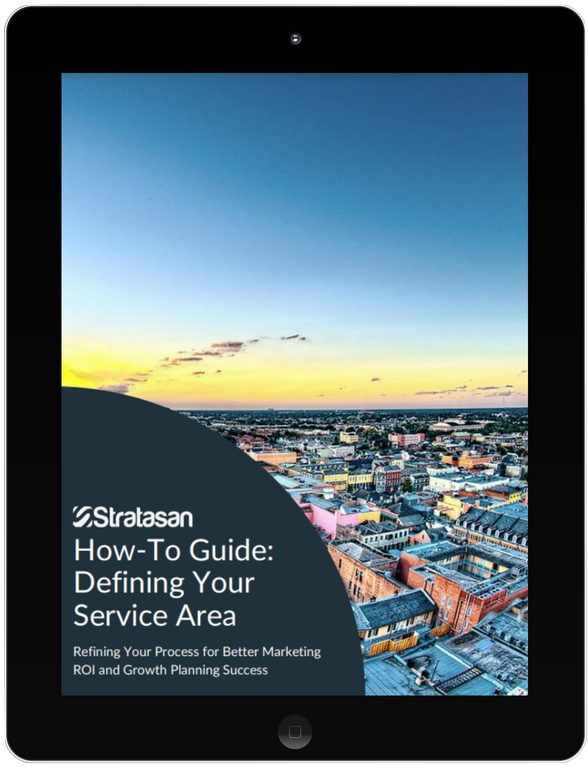 In this e-book, we will discuss best practices and highlight the pros and cons of different methods of defining a service area.